Prepare to be amazed! 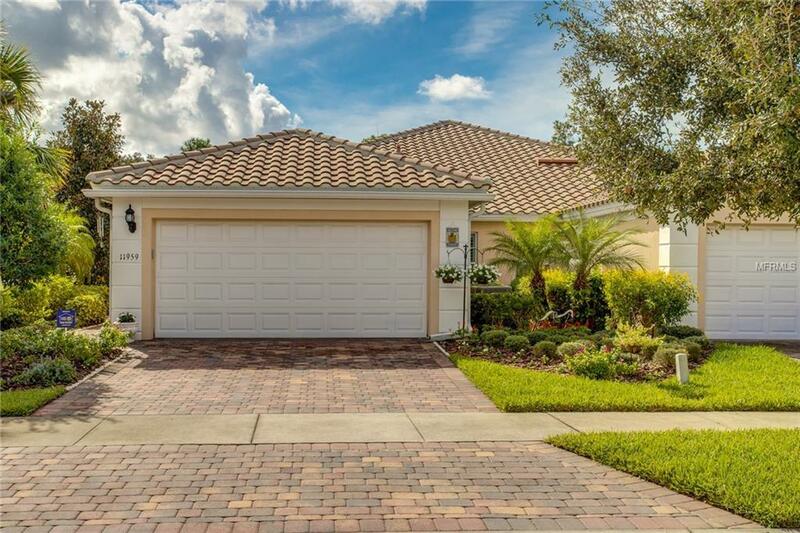 Located in the spectacular community of Village Walk at Lake Nona, this 2 bed/2 bath villa includes a den space and is move-in-ready. Plenty of upgrades including plantation shutters throughout make this one a MUST SEE. Inside, the wide open layout offers so much living space first with the dining room/living room combo that looks into the upgraded kitchen which offers granite counters, all stainless appliances, designer fixtures, custom 42 cabinets and breakfast bar. The den is an ideal flex space to suit your needs. The master bedroom offers plenty of space for a king set and the attached en suite has dual sinks, upgraded designer fixtures, oversized glassed shower and LARGE walk-in closet. This split plan has the 2nd spacious bedroom on the other side of the home with convenient access to the 2nd full bath. An inside utility room offers spacious laundering and access to the garage. Out back a covered and screened lanai looks out to the grassed yard and feels very peaceful. The community of Village Walk is truly spectacular. Known as one of the most desirable subdivisions in Lake Nona and in the heart of medical city, you can live maintenance free. Beautifully landscaped and miles of walking and biking trails. The community includes tennis courts, basketball court, playground, gym, two swimming pools, restaurant with grocery store, gas station, dry cleaning, hair salon, community center with ballrooms and library. And do not forget the guard gated entrance. This place has it ALL! Additional Lease Restrictions Buyer is Responsible To Verify All Leasing Restrictions With The Hoa. Pet Restrictions Buyer To Verify With Hoa On Pet Restrictions.